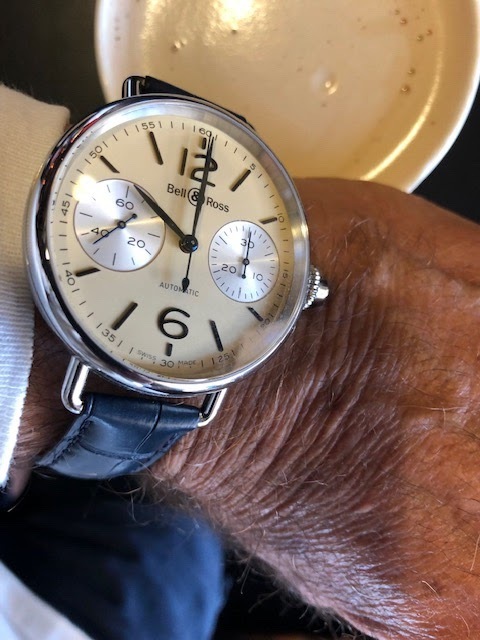 Thought this Bell & Ross mono pusher had the perfect dial to accompany my Latte this morning. I really think Bell & Ross has done a great job with this line. Much more manageable to a broader audience to get there mind around as meeting between modern and vintage. Enjoy. The symmetry and color combination is really nice on this one.